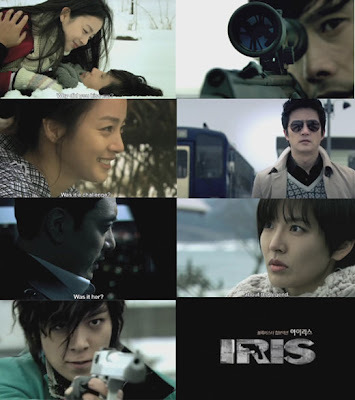 The upcoming blockbuster drama “Iris” has released its first trailer. 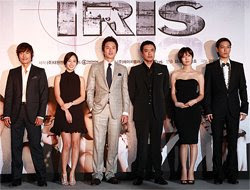 Due to air later in the year, “Iris” features a star-studded cast – Lee Byung-hun, Kim Tae-hee, Jung Jun-ho, Kim Seung-woo, Kim So-yeon, and T.O.P. of Big Bang. The spy thriller is the most anticipated drama of this year, garnering attention with enormous production cost and extensive overseas filming. The recently released video promo opens with National Security Service special agent Hyun-joon, played by Lee Byung-hun, taking aim at a target. The trailer is composed of only the scenes shot in Japan last March. The spectacular action scenes, tight storyline, and breathtaking scenery are added to the fateful romance involving Lee and Kim Tae-hee’s characters to make the show more electrifying and engaging. Due to be broadcast in September, the drama deals with the love and betrayal of South and North Korean spies.